We are a leading Manufacturer of surge protection devices and arresters from New Delhi, India. DT is a complex range of surge protection devices designed for protection of data, communication, measuring and control lines against surge effects. These surge protection devices are recommended for use in the Lightning Protection Zones Concept at the boundaries of LPZ 0A(B) -1 according to EN 62305. All types provide effective protection of connected equipment against common mode and differential mode surge effects according to IEC 61643-21. The nominal current of individual protected lines IN< 0,1A. 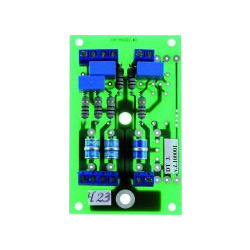 These devices consist of gas discharge tubes, series impedance and transils. The number of protected pairs is optional (1-4). 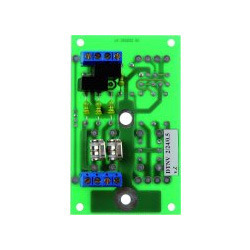 These devices are produced for nominal voltage within the range of 6V-170V. Maximum discharge current is 10kA (8/20), in case of “L” design the maximum discharge current is 20kA (8/20). For the protection of telephone lines it is recommended to use DT type with nominal voltage UN=170V (with code mark “T”). It was a complex range of surge protection devices designed for protection of data, communication, measuring and control lines aganist surge effects. DTNV 0,5 is a complex range of surge protection devices designed for protection of data, communication, measuring and control lines against surge effects. These surge protection devices are recommended for use in the Lightning Protection Zones Concept at the boundaries of LPZ 0A(B) - 1 according to EN 62305. All types provide effective protection of connected equipment against common mode and differential mode surge effects according to IEC 61643-21. The nominal current of individual protected lines IN< 0,5A. These devices consist of gas discharge tubes, series impedance and transils. The number of protected pairs is optional (1-4). 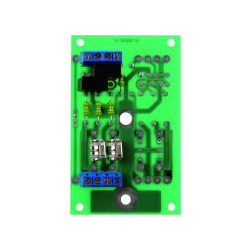 These devices are produced for nominal voltage within the range of 6V-48V. Maximum discharge current is 10kA (8/20), in case of “L” design the maximum discharge current is 20kA (8/20). DTNV 5 is a complex range of surge protection devices designed for protection of data, communication, measuring and control lines against surge effects. These surge protection devices are recommended for use in the Lightning Protection Zones Concept at the boundaries of LPZ 0A(B) - 1 according to EN 62305. All types provide effective protection of connected equipment against common mode and differential mode surge effects according to IEC 61643-21. The nominal current of individual protected lines IN< 5A. These devices consist of MOVs only. The number of protected pairs is optional (1-4). 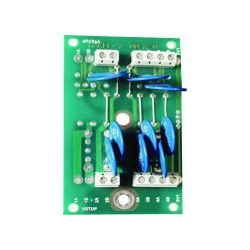 These devices are produced for nominal voltage within the range of 12V-110V. Maximum discharge current is different according to various types from 2kA (8/20) to 8kA (8/20).